. 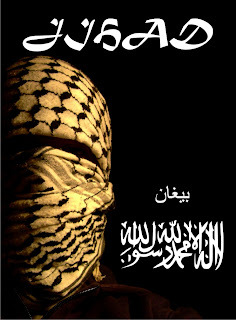 Palestinians are the newest of all the peoples on the face of the Earth, and began to exist in a single day by a kind of supernatural phenomenon that is unique in the whole history of mankind, as it is witnessed by Walid Shoebat, a former PLO terrorist that acknowledged the lie he was fighting for and the truth he was fighting against:“Why is it that on June 4th 1967 I was a Jordanian and overnight I became a Palestinian?” “We did not particularly mind Jordanian rule. The teaching of the destruction of Israel was a definite part of the curriculum, but we considered ourselves Jordanian until the Jews returned to Jerusalem. Then all of the sudden we were Palestinians - they removed the star from the Jordanian flag and all at once we had a Palestinian flag”.“When I finally realized the lies and myths I was taught, it is my duty as a righteous person to speak out.”........... .THERE HAS NEVER BEEN A CIVILIZATION OR NATION REFERRED TO AS “PALESTINE!” There is not, nor has there ever been, a distinct “Palestinian” culture or language. Further, there has never been a Palestinian state governed by Arab Palestinians in history, nor was there ever a serious Arab-Palestinian national movement until 1964…three years BEFORE the Arabs of “Palestine” lost the West Bank (Judea and Samaria) and Gaza as a result of the 1967 Six Day’s War (which the Arabs started). Even the so-called leader of the “Palestinian” people, Yasser Arafat, is Egyptian! In short, the so-called Arab “Palestinians” are a manufactured people…a people with no history and no authority…whose sole purpose for existence is to destroy the Jewish State!Way back on March 31, 1977, the Dutch newspaper Trouw published an interview with Palestine Liberation Organization executive committee member Zahir Muhsein. Here’s what he said: The Palestinian people does not exist. The creation of a Palestinian state is only a means for continuing our struggle against the state of Israel for our Arab unity. In reality today there is no difference between Jordanians, Palestinians, Syrians and Lebanese. Only for political and tactical reasons do we speak today about the existence of a Palestinian people, since Arab national interests demand that we posit the existence of a distinct “Palestinian people” to oppose Zionism.. It demonstrates conclusively that the Palestinian nationhood argument is the real strategic deception – one geared to set up the destruction of Israel.The present-day "Palestinians" are an Arab people, with Arab culture, Arabic language and Arab history. They have their own Arab states from where they came into the Land of Israel about one century ago to contrast the Jewish immigration. That is the historical truth. http://www.youtube.com/watch?v=_ZY8m0cm1oY&feature=related ....Check out any map of the Middle East and see for yourself. You will find Palestine listed as a region as it always has been, but definitely not a country. We can locate the Mojave Desert on the map, but we still do not recognize it as our 51st state, let alone a country. Similarly, the region of Siberia is a region not a state. Or the Sahara is a region not a state, etc. Neither is Palestine a state. It never was a country, just a region.The whole region was nothing but deserts and swamps. Only about 120,000 Arabs resided in an area that covered the territories, the state of Israel and Jordan.The fact simply is that there are no Palestinians. These people are Arabs like all other Arabs, and they happen to live in a region called Palestine. They are not a separate people. It was ruled alternately by Rome, by Islamic and Christian crusaders, by the Ottoman Empire and, briefly, by the British after World War I. The British agreed to restore at least part of the land to the Jewish people as their homeland. Jerusalem was never the capital of any state but Israel. It was certainly never the capital of a country that never existed. Why should the Palestinians get any part of it? Because they want it? Because they have terrorists? Shaykh Prof. Abdul Hadi Palazzi:THE QUR'AN SAYS THAT ALLAH GAVE THE LAND OF ISRAEL TO THE JEWS AND WILL RESTORE THEM TO IT AT THE END OF DAYS…Palazzi accepts Israel's sovereignty over the Holy Land, and says the Koran supports it as the will of God as a necessary prerequisite for the Final Judgment. He accepts Israel's sovereignty over Jerusalem, if the rights of other religions are protected. He quotes the Koran to support Judaism's special connection to the Temple Mount. According to Palazzi, "The most authoritative Islamic sources affirm the Temples,". He adds that Jerusalem is sacred to Muslims because of its prior holiness to Jews and its standing as home to the biblical prophets and kings David and Solomon, all of whom he says are sacred figures also in Islam. He claims that the Koran "expressly recognizes that Jerusalem plays the same role for Jews that Mecca has for Muslims". "Return" to Israel: http://www.youtube.com/watch?feature=player_embedded&v=lSGtzhUWU9o ......................... http://www.weeklyblitz.net/1036/land-of-israel-is-the-homeland-of-the-jewish .....Israel stands in the way of the march of the Islamic Jihad towards the Western World.Israel is today like a bait that has been tied down in the path of the murderous beast. The beast of Islam has been threatening to devour the bait (Israel) for the last five decades since 1948. The beast repeatedly lunges at the prey through bomb blasts at Bus Terminals, Pizza Parlors, Shopping Malls, Settlements, Discos, ripping into shreds what were till then innocent school kids, housewives, office goers, and civilians of all persuasions.Israel is the sentinel of Civilization facing the wild frontier of Islam. The survival of Israel and the destruction of Israel’s enemies is the first requirement if we are to defeat the Islamic Jihad. Israel is today, like a fishbone stuck in the Arab throat, and howsoever hard the Arab try they have not been able to spit out Israel from the Middle East.We hope and pray that the Presidents, Prime Ministers of USA, UK, would be supported by those of France, Germany, Russia, China etc to unite and defeat and destroy Islam before it acquires nuclear capability and threatens human civilization with destruction. Islam can destroy the world, so destroy Islam before it gets the capability to destroy us.. ...Exiled Hamas chief Khaled Meshaal said reconciliation between Fatah and Hamas must be based on jihad ("holy" war) against Israel.Since gaining control of the Strip, Hamas has steadily tightened its control over the 1.4 million residents, imposing sharia (Islamic) law in the schools, courts and public places. The son of Hamas Founder Sheikh Hassan Yousef, Mosab Hassan Yousef, has publicly declared in a TV interview that moderate Islam doesn't exist and that all Muslims believe in Jihad.Neither Abbas’ PLO nor its rival Hamas, which controls Gaza, has ever recognized Israel’s right to exist as a Jewish state. And Islamic theology does not allow for the legitimate existence of an infidel polity on what is considered Muslim land. Hence the goal remains, for all too many Palestinians, the utter destruction of Israel.